RTV trails are based on the same format as Tyros, with sections incorporating 10 gates, but a full driving licence must be held to drive. Similar types of vehicle e.g. long wheel base, short wheel base, coil sprung suspension & leaf sprung suspension are grouped together in classes. These classes ensure drivers compete against like vehicles creating a level system. The ground used in RTV is slightly more challenging than in Tyro. Sections are set out to make the best use of terrain, calling on the drivers ability to read the route ahead and taking the correct line between gates. Balancing navigation, gear selection, speed and steering is not as easy as you might think, especially on steep climbs, in water & mud or in forested areas. RTV vehicles are fairly standard, but the regulations do allow for some modification to be made, making them more capable off road. Your vehicle will be checked for basic safety and it’s conformity to the vehicle class system. 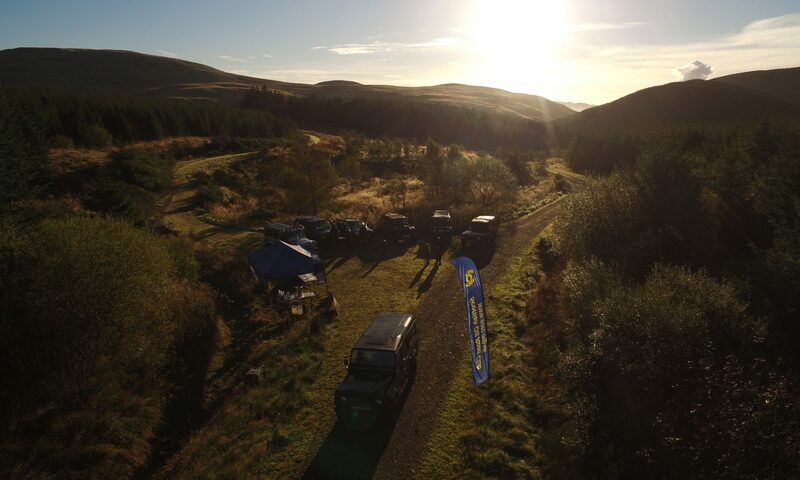 Scrutineers are always on hand to offer advise and guide prospective competitors on the suitability of their vehicle. RTV trials are well suited to a majority of the Land Rover products. The courses are generally laid out with standard utility type vehicles such as Series, 90 and 110 with a few Range Rovers, Discovery’s and many other makes of 4×4 thrown in for good measure. As later vehicles with side steps and front valences may struggle with approach angles and risk grounding, it’s best to come along and see for yourself how these type of events work before trying them out.